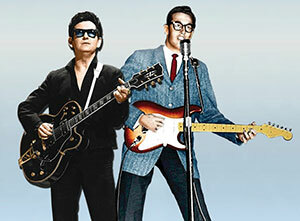 Roy Orbison & Buddy Holly: The Rock 'N' Roll Dream Tour will visit arenas across the UK & Ireland during the autumn of 2019. Combining holographic performance with a live band and backing singers, audiences can enjoy an evening of greatest hits from Roy Orbison and Buddy Holly. How to buy Roy Orbison & Buddy Holly tickets? Tickets for The Rock 'N' Roll Dream Tour went on general sale on Friday 29th March, priced from £52 plus fees, at Ticketmaster.co.uk and SeeTickets.com.